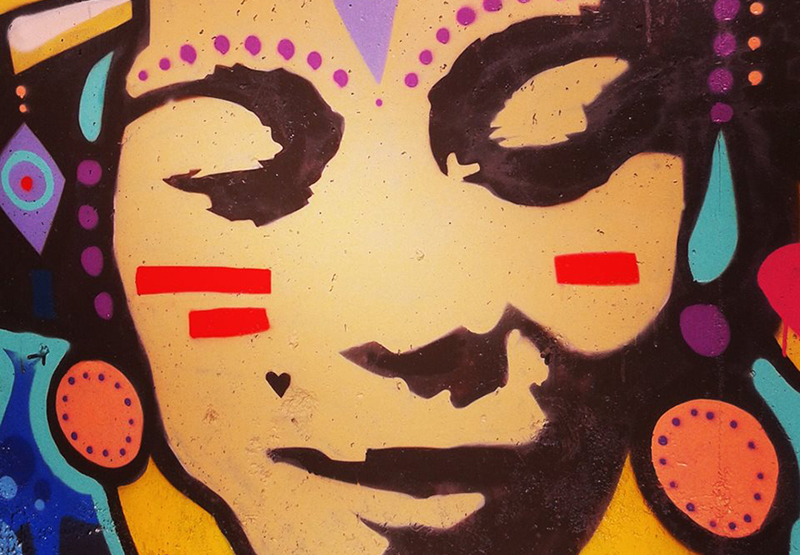 The girl behind the alias TKV Fairy Queen comes from Belgrade and has been working with stencils for a decade. 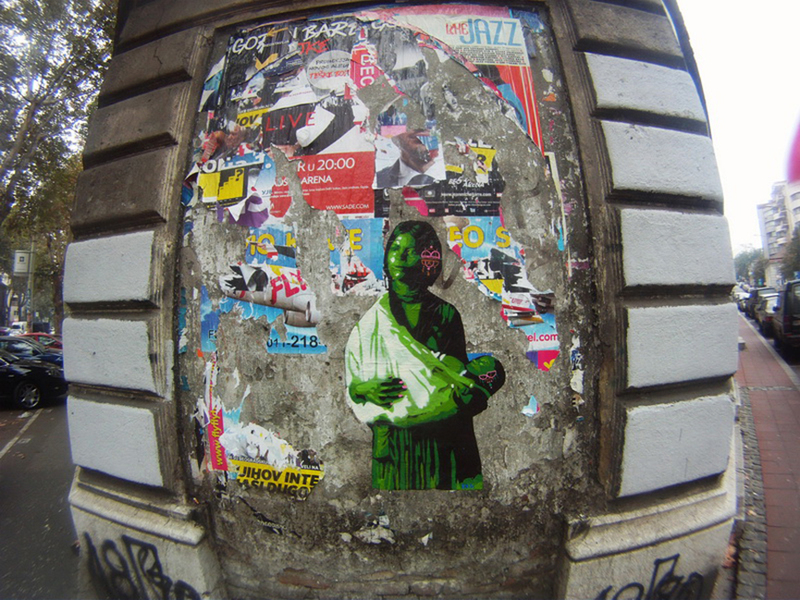 As a 16-year old, she became interested in street art while discovering the streets of Rome, where she made ​​her first stencil – a portrait of Amélie Poulain. 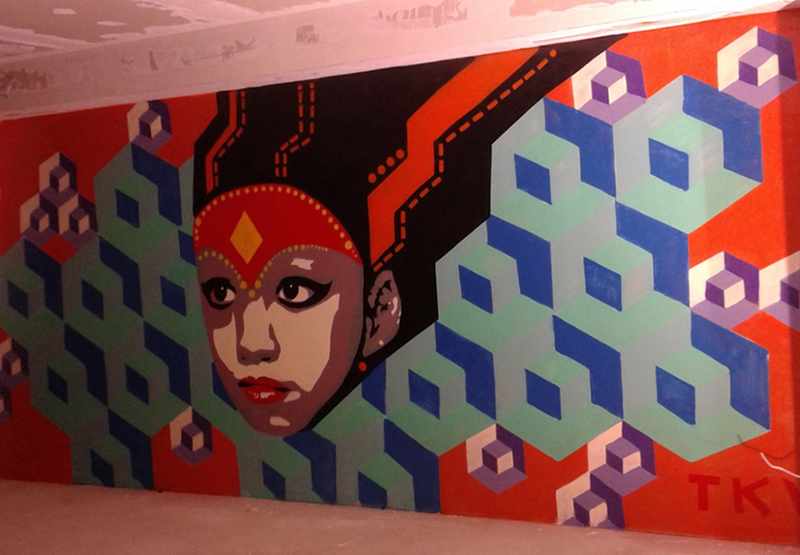 Decorating the walls of her hometown with fairies, Indian deities and portraits of movie characters and famous historical figures, TKV became one of the icons of the urban Belgrade. Widewalls meets TKV. 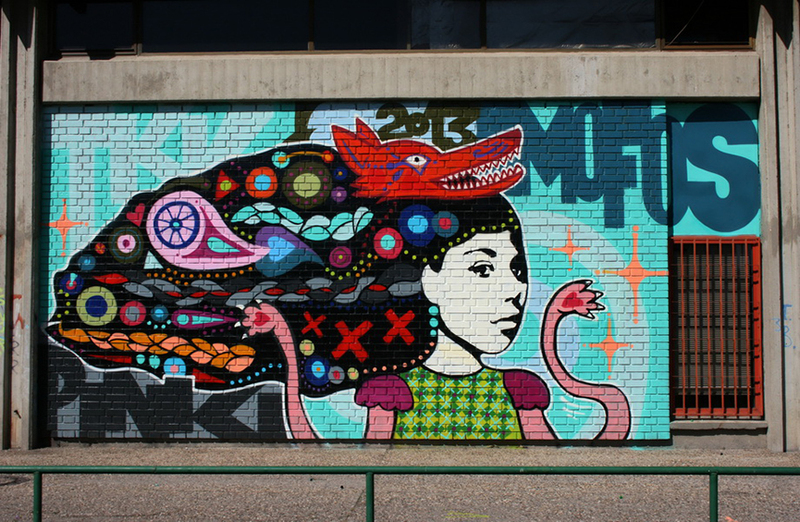 Widewalls: When and where did you do your first graffiti? TKV: In 2004 in Rome. In the part called Trastevere. W: What was the key moment in your life to decide to become a street artist? TKV: I was not even aware of it. Everything was spontaneous and intuitive, as it usually goes with 16-year-olds. I guess that’s probably the right time for it; therefore, it got such proportions. W: What is the background of your work in the terms of concept and design? TKV: Two things are important: my emotional states and public space that surrounds me. The idea for the work mainly comes from a reaction to a certain event, song, someone’s art, or people. As far as the concept, it more or less changes but always revolves around the freedom I have as an artist on the street. Freedom for me also means freedom for the observers to freely read my work. I believe that art should be part of everyday life and that belongs to everyone. W: Dominant themes in your work are women, either historical figures or movie heroines. Why? Are they your role models, alter-ego or simply your homage to them? TKV: I simply prefer female characters. It’s easier for me to express myself through them. I grew up next to a strong woman, and it is embedded in my style. Some of the characters that I’ve done were indeed homage to women I appreciate. W: What is your experience as a woman in Serbian street art circles? TKV: As for the scene, I have never experienced any negative reaction. I think all graffiti artists would be thrilled if there were more girls drawing. Graffiti is something that is considered to belong more to guys, but that’s prejudice. At the global level, there are plenty of women who draw fantastic works. 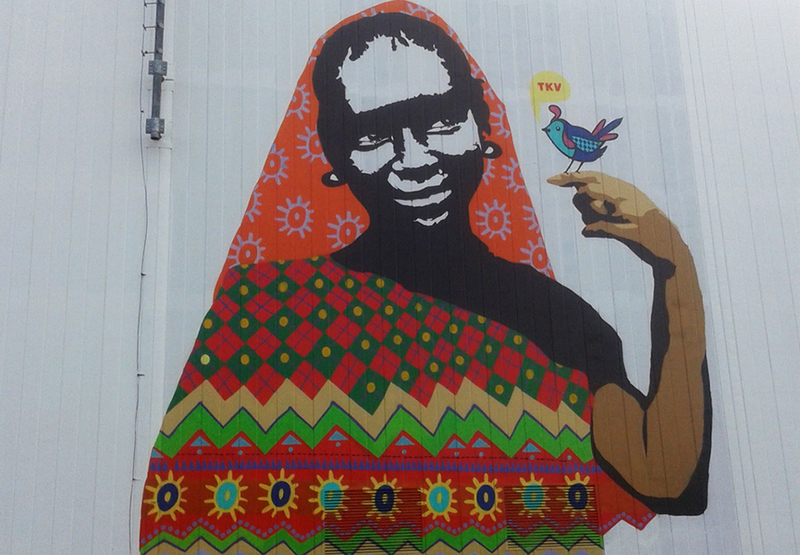 As far as our environment, woman as a street artist is still something that is incomprehensible, street art is something which is not considered as “women’s work”, but I think that public opinion will adjust over time. W: Where do you get your inspiration? 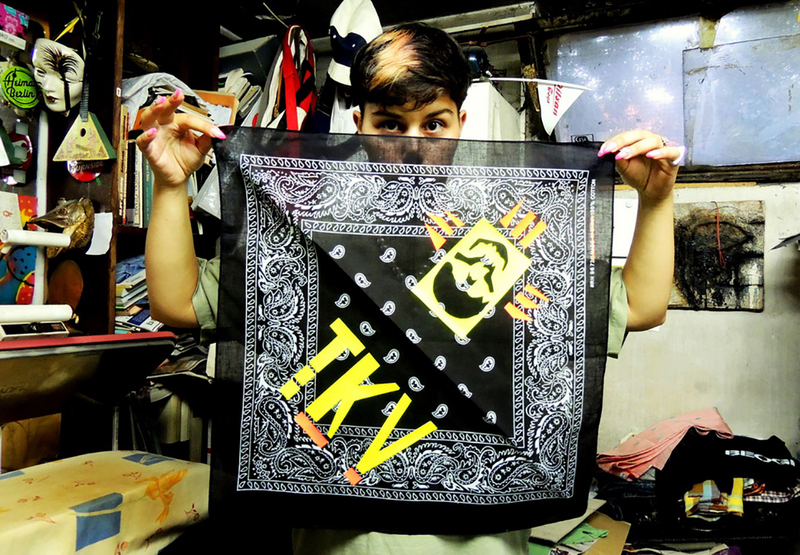 TKV: I draw inspiration from lots of things, music, books, events, emotions, people etc. Various small things from everyday life can be triggers. The nature is also an important source of inspiration for me. W: Do you have any role models in street art and can you name some? TKV: I follow various graffiti artists but one of my favorites is MSK Crew from LA and a couple of artists from Brazil. I really like the work of the artist Swoon too. I think she’s fantastic. W: What technique do you use or prefer and why? TKV: I mostly use stencils. This aesthetics suits me best. There are periods when I also draw in freehand style. Then I usually think of a street logo and just draw it. W: What is, in your opinion, the attitude of the Serbian public towards street art? TKV: No matter how small the scene is, it follows the trends. Street art culture has become very popular over the last 5-6 years; therefore the audience began to pay attention. W: You took part in a lot of exhibitions lately. 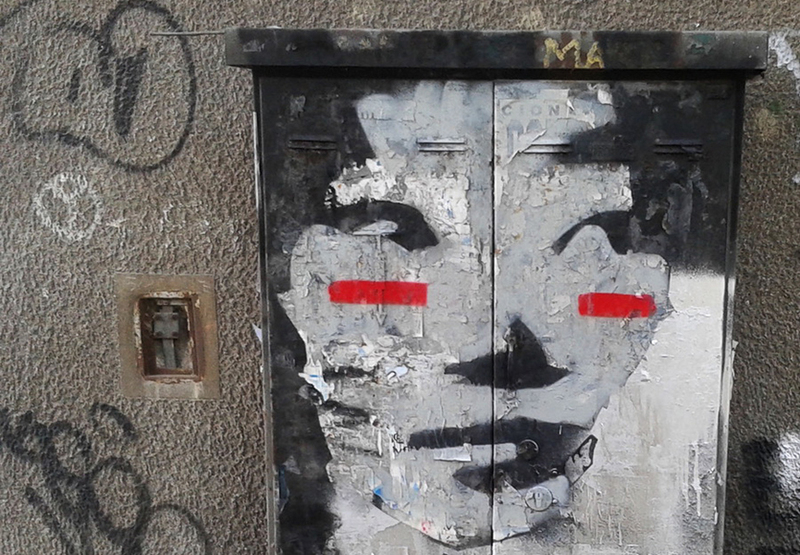 What is the relationship between Serbian cultural circles and street art? Is there a presumption that it will soon enter into art galleries in a larger number? TKV: I think this is already happening. It is the artists who need to come up with new ways to present themselves and develop their work. W: What do you think about the local street art scene? Is there a tendency for growth? TKV: The scene is small, but it exists and that’s most important. Here is everything on a smaller scale so is the recognition. Part of it is that street art is illegal and it should be. I think that the price of spray cans also affects the spread of the movement. Here, the spray cans are more expensive due to import taxes. But, in the end, only the persistence of people who draw will make the scene grow, or not. W: Do you like the acquired title of one of the icons of the urban Belgrade? TKV: I do not feel like I have that title, nor do I want it. I think all these titles can only slow down your work and artists should not be thinking about them. I’m just me; I work in this city and enjoy what I do. W: What are your current and future projects? TKV: I am currently preparing an exhibition in May. I do a lot of commercial work which takes a lot of my time. In the future, I will focus on developing my techniques and ideas and deepening my style. W: How does your typical day look like? TKV: Every day is different. I love the days when I can completely devote myself to work. I try to read something every day, or to be with people I love. W: What are you currently reading? TKV: I recently finished reading “Heart of a Dog” by Mikhail Bulgakov, and I’m currently reading “1Q84” by Haruki Murakami. TKV was born in Belgrade in 1988. She’s engaged in street art since 2004. 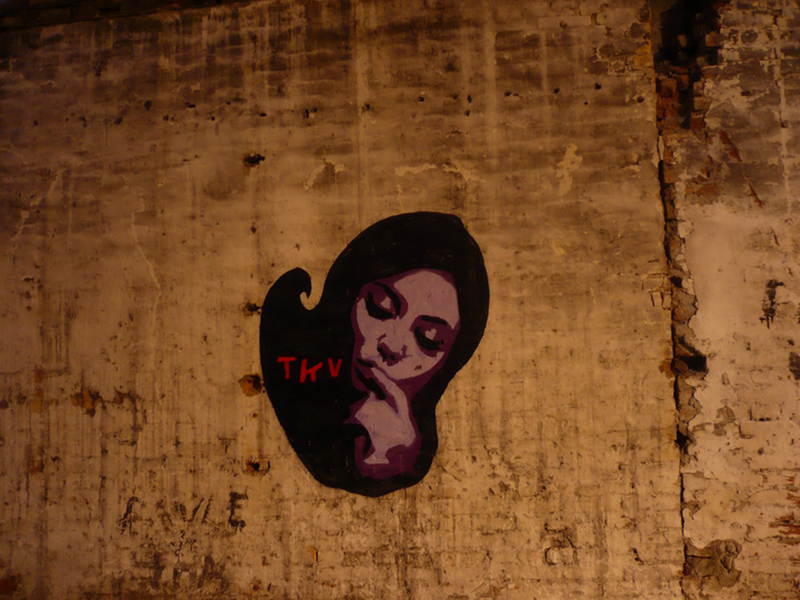 From 2007 to now, TKV has participated in numerous group and solo exhibitions in Serbia and abroad. The artist currently attends master studies in “Culture of global media” at the Faculty of Media and Communications in Belgrade. TKV uses the public space as a place of creation. She combines this unique open-air exhibition venue with her own perception of public space in one. The right to public space and the right of changing its look are the key viewpoints of TKV’s art that constantly encourage her to think which places allow or require intervention and change.